Celebrity Chef Maria Loi arrived in Albertson on Oct. 10 to showcase some of her famous Greek cuisine at The Viscardi Center — a nonprofit organization dedicated to educating, employing, and empowering people with disabilities. The Mediterranean food extravaganza benefitted the Center’s culinary skills training program, which prepares adults and adolescents with disabilities for in-demand careers in the foodservice industry. The evening catered to an intimate group of 68 attendees and included a sampling of staple dishes from Loi’s Manhattan-based restaurant, Loi Estiatorio, as well as an exclusive tea tasting courtesy of Tuvunu Greek mountain tea. Loi also presented a live cooking demonstration that featured spanakopitakia (mini spinach pies), tyropitakia (cheese-filled pastries), and other traditional mainstays. 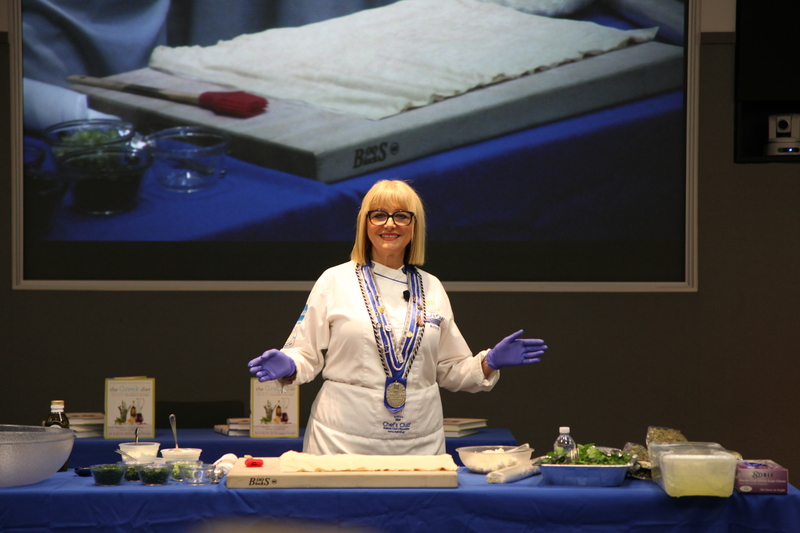 Following a discussion on the“12 Pillar Foods” from her award-winning cookbook The Greek Diet, Loi concluded the festivities with a meet-and-greet and book signing. An internationally-renowned restaurateur, author, entrepreneur, and philanthropist, Loi was unanimously re-elected the Ambassador of Greek Gastronomy by the Chef’s Club of Greece, a global culinary organization, in 2016. Loi generously donated her time to The Viscardi Center because she recognized that she and the organization both share one goal — to bring people in the community together.